Tidewater Community College’s 14th annual Women’s Leadership Breakfast will be held on May 10 at 8 a.m. at the college’s Chesapeake Campus Student Center, 1428 Cedar Road. The annual event celebrates community leaders, mentors and TCC students dedicated to academic excellence and service. 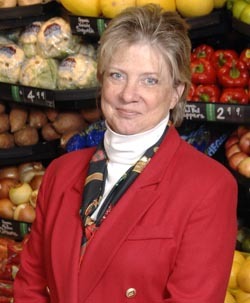 Micky Nye, president of Farm Fresh Food & Pharmacy, will be the keynote speaker. With many years of experience in operations, merchandising, procurement and leadership, Nye is a nationally respected member of the grocery industry. She volunteers with the Network of Executive Women Mid-Atlantic Division, where she serves as the programming chair. She also serves on a number of local boards and committees, including the Tidewater Community College Educational Foundation Board. Student awards will be presented for the Mary Pat Liggio Student Leadership Award and the Dr. Alexsandria Manrov STEM awards. Dominion Virginia Power is the presenting sponsor for the event. Additional sponsors include TowneBank; Pender & Coward, P.C. ; Dollar Tree, Inc.; Farm Fresh Supermarkets; Top Guard Security; Wilbanks, Smith & Thomas Asset Management; Noah Enterprises, Inc.; Willow Oak HR Consulting, LLC. ; and Monarch Bank. The breakfast is open to the public. Tickets are $40 and can be purchased online. For more information, call the Women’s Center at 757- 822-7296 or email womenscenter@tcc.edu.